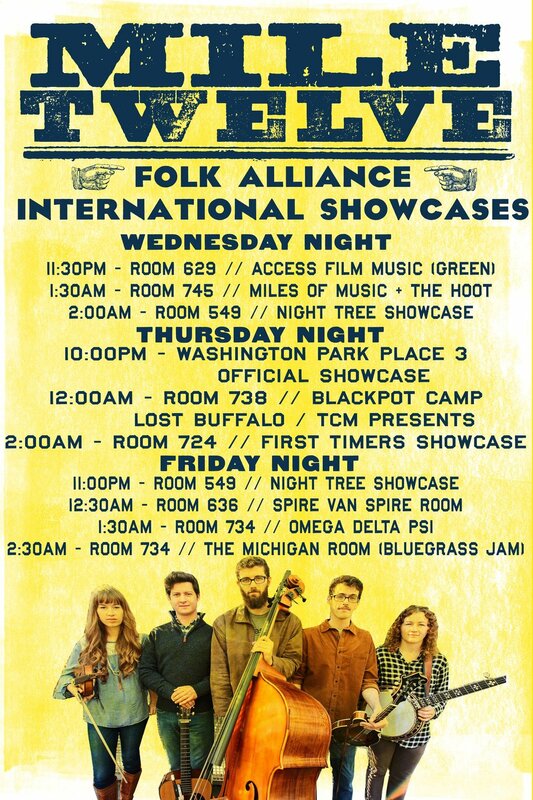 I'm looking forward to attending the Folk Alliance International Conference next week in Kansas City, MO with Mile Twelve, as Official Showcase Artists. We've got a busy week planned and when we're not showcasing we're looking forward to being inspired by some new artists! Check out our showcase schedule below and help spread the word! Keep up with our travels on Facebook at: https://www.facebook.com/miletwelve/ we'll be sure to share lots of photos and videos from the trip!